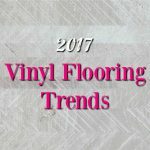 Don’t make the outdated choice when you update your floors – use these 2017 flooring trends to choose something durable and stylish that will stay in style the lifetime of your floor. It’s that time of year. Holiday music is starting to play on the radio, holiday party invitations are coming up left and right, and the end of 2016 is approaching at lightening speed. Is it just me, or does it seem like, after summer ends, the rest of the year just flies by? The new year often comes with new goals and, if you’re lucky, new tax return and yearly bonus money that you can spend investing in all the things you’ve been wanting to do in your home. If you’re ready to update your home, you know that update begins with the floor – the foundation of your house. It sets the tone and the color scheme for everything else you want to accomplish. 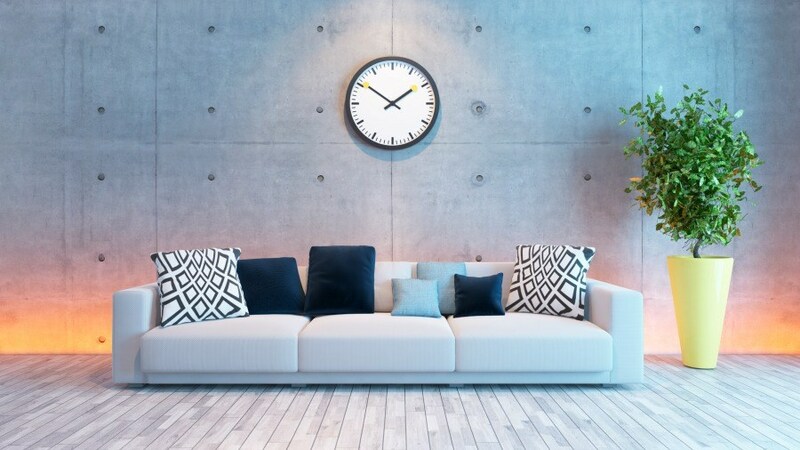 Flooring trends don’t change nearly as often as fashion (thank goodness), or even other home decor, but we are in a period of evolution thanks to advancing technologies. Think about how quickly we went from flip phones (please tell me you remember flip phones!) to smartphones — that is what’s happening with flooring technologies. 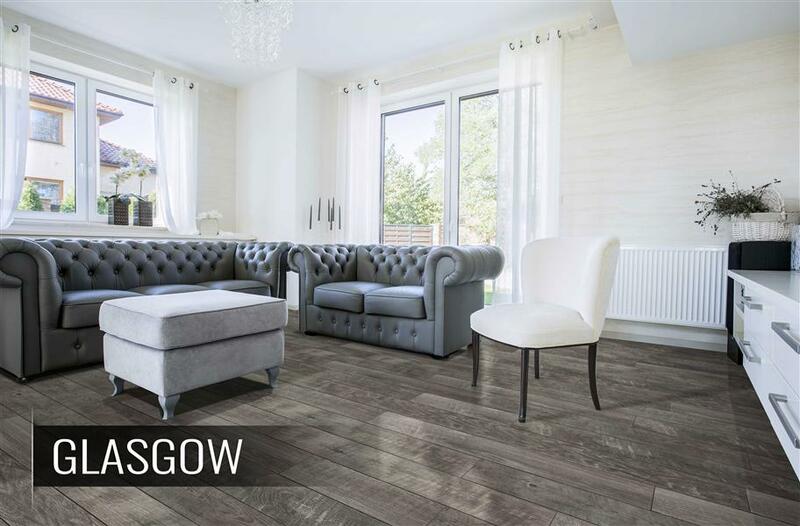 We can now do more than ever before with lookalike flooring options and low maintenance flooring options. 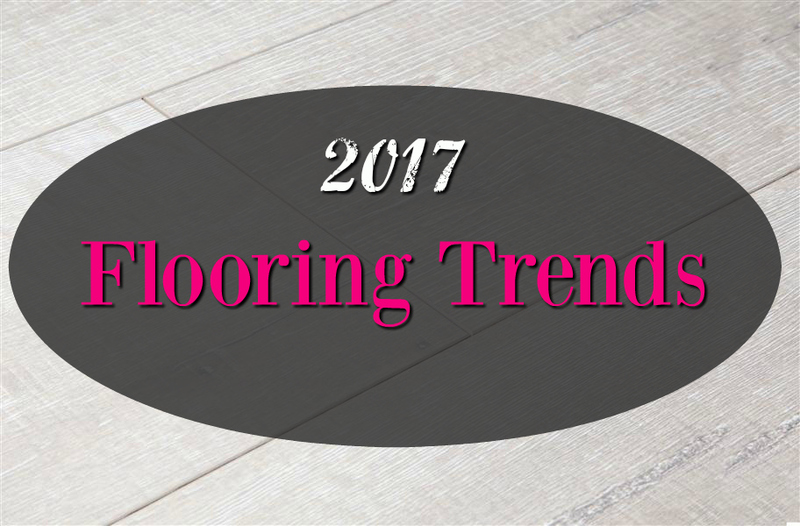 Okay, let’s take a look at trending flooring in 2017. Wood-look flooring. This is nothing new. 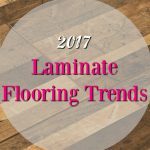 Wood-look tile, vinyl and laminate will continue to soar through 2017 and beyond. Wide plank flooring. 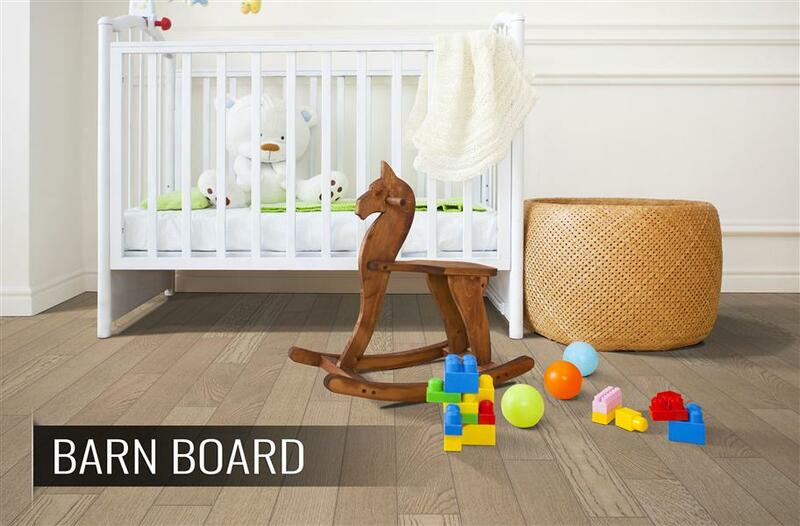 Longer and wider planks are becoming available with modern technology. These large planks are only growing in popularity. Blond flooring. Bright, beautiful blonde wood and wood looks are new, trendy and exciting. Gray flooring. Gray is still new enough to be trendy, but soon it will become a classic staple. Flooring made in the USA. Americans are becoming more and more concern with buying things made, grown or both in the US. 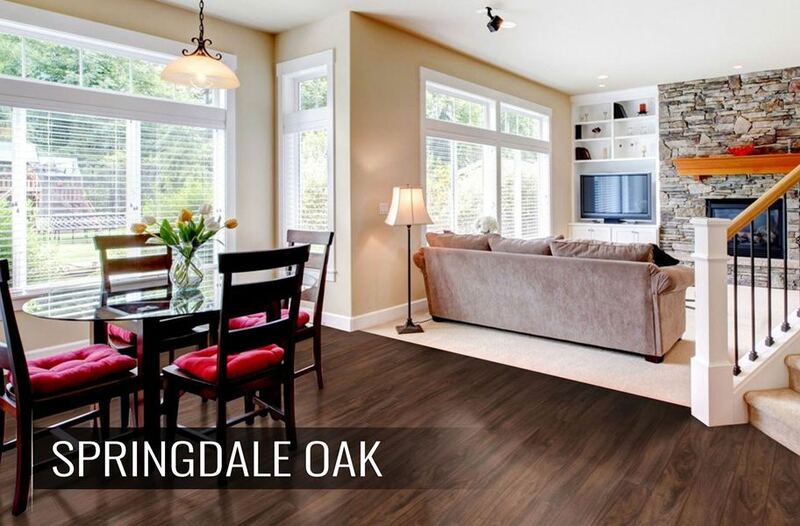 Flooring manufacturers have taken note and are now offering USA-made options across the flooring market including wood, laminate, vinyl and more. 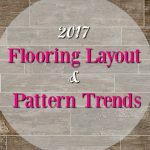 Some trends are so hot you will see them in almost every type of flooring from tile to laminate. 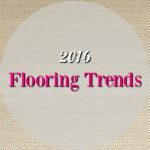 Here is a look at what’s trending across the entire world of flooring in 2016. This will come as no surprise to anyone who has looked down in the past 5 years, but wood look flooring is hot, hot, hot, and only getting hotter. 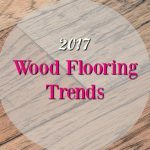 That’s why we’re calling it the #1 flooring trend in 2017. 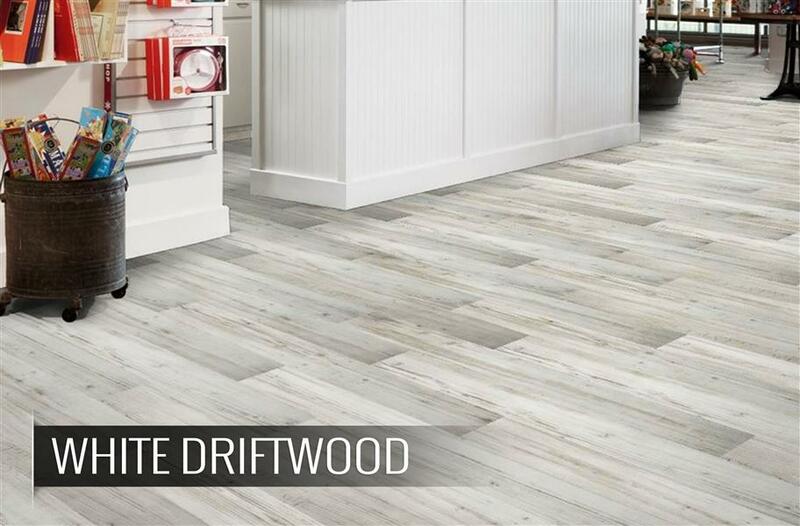 The truth is, floors such as tile, laminate and, yes, VINYL have seriously stepped up to the playing field, delivering realistic, affordable and low maintenance wood looks. 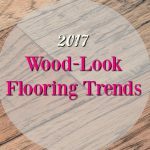 You can expect to see the wood look flooring trend continue well into the next decade. 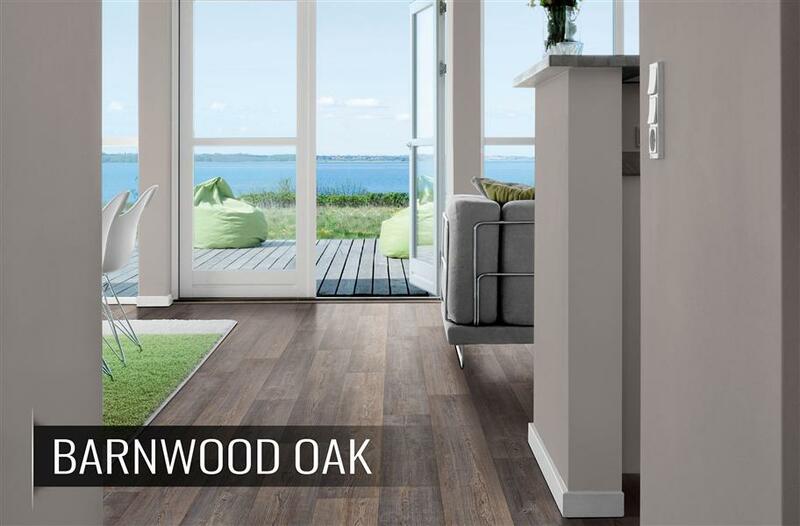 >> Check out all our options in wood-look Laminate, Tile and Vinyl. You’re imagining the tacky, dated, 1970s parquet wood flooring. You’re ready to click the little X at the top of your screen because you think we must be off our rocker over here at FlooringInc. Let me explain. Parquet simply means geometric patterns. 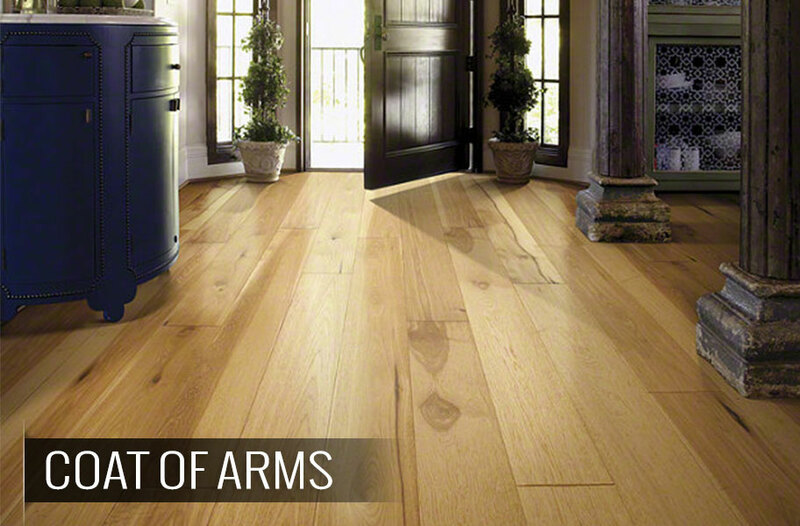 And not just in wood flooring! 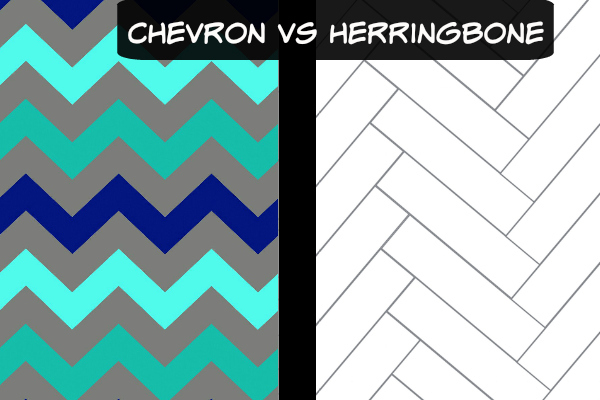 In 2017, expect to see parquet patterns, particularly herringbone (which is not the same as chevron – see above), in wood, vinyl, tile and more. Is this trend going to stick? Maybe. You see, parquet flooring is a specialty type of thing that will not appeal to everyone. Tile patterns are certainly not going anywhere, but beyond that? I wouldn’t expect to see too many of these layouts lasting the test of time. 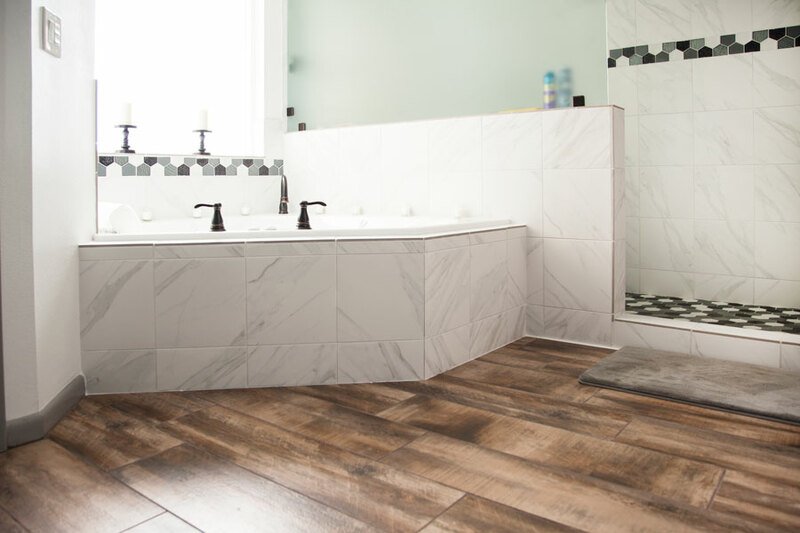 If you want to hop on board the parquet flooring trend, we suggest either going for a hallway, entryway or bathroom, or trying it out with a temporary flooring solution that will be easy to change with the current trends or your mood. It’s no secret that larger planks and tiles make your room look bigger. Small, cluttered pieces, like subway tiles, can look great, but they often become busy and make your room look small. 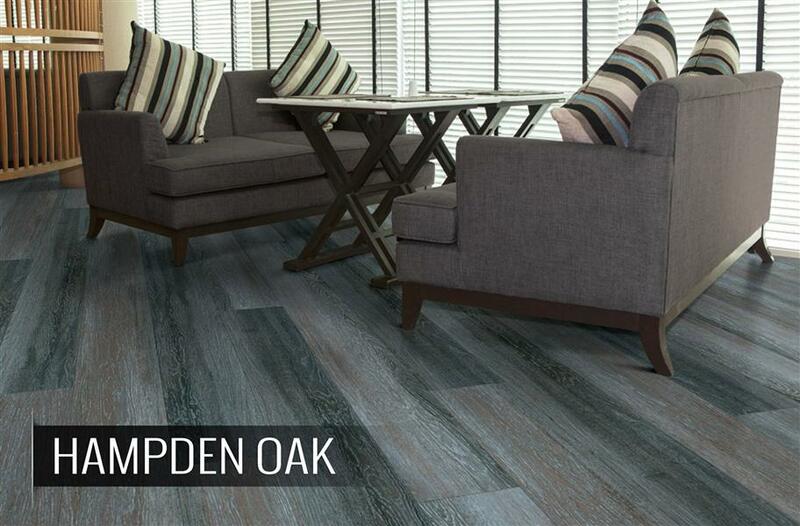 Expect to see wide planks not just in wood, but laminate, luxury vinyl planks and tile as well. 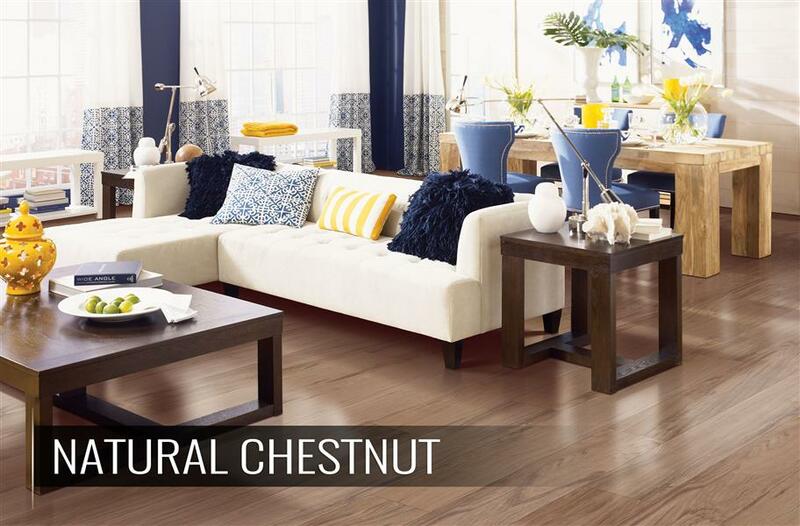 These large planks look modern, elegant and expensive in any room in the home. Are you thinking about jumping on board? Well, you should! 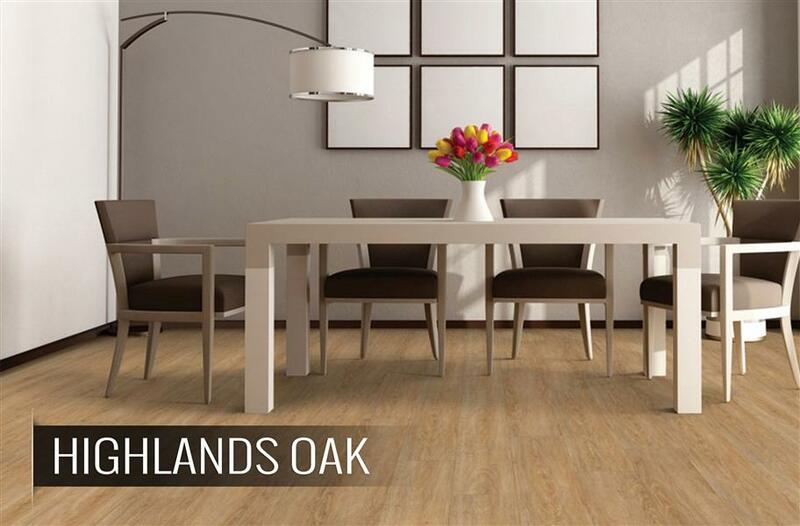 >> Check out our wide plank options in Wood, Laminate, Vinyl, Tile, and Cork. 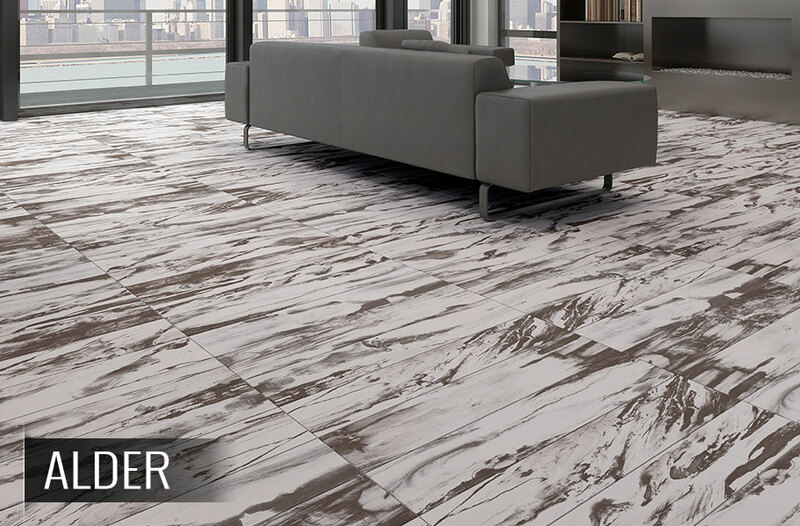 Just like wide planks, I predict the large format tile trend is here to stay. They make your space look bigger, give you fewer grout lines (WIN! ), and provide a beautiful, clean, modern look. Think large format tiles is just for porcelain and ceramic? Think again! 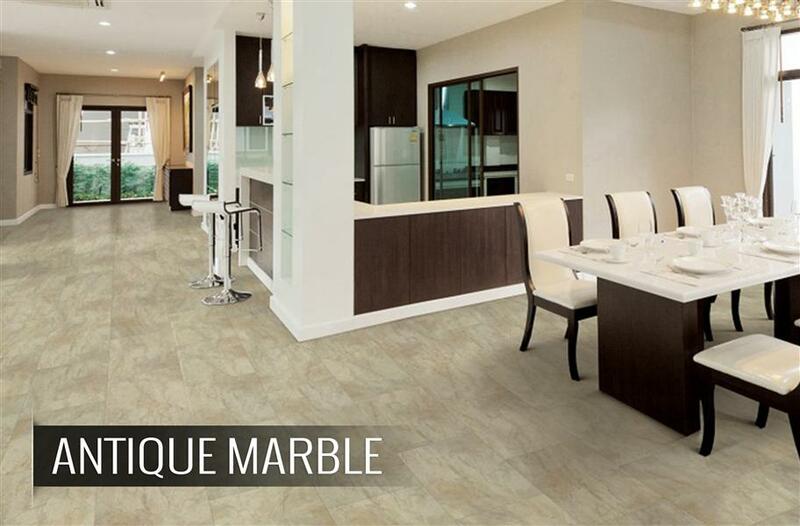 You can also go with a large format vinyl tile or groutable vinyl tile for a true stone look without the hard cold feeling. Of course, we will likely reach a point, like with phones, where the size gets excessive. I have a feeling that may happen within the next 5 years or so. My advice: don’t get sucked in, but do go with the large format sizes currently available on the market. Color trends are typically not specific to a type of flooring; rather they extend themselves across the flooring market. Some of these have been around for years now while other are just popping up into the limelight. 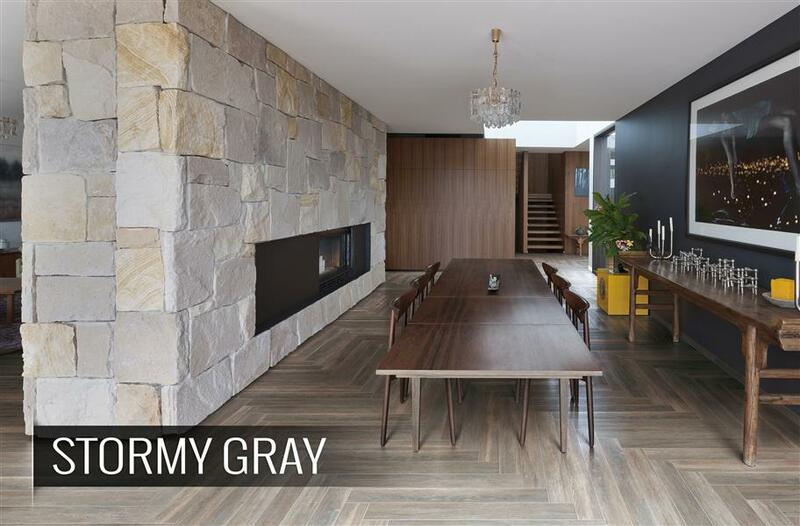 For the last few years, experts in the industry have tried to predict whether the sudden surge in gray flooring was a fleeting trend or a new staple. 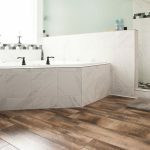 I think now we can safely say that gray flooring is here to stay, and you can expect to see even more gray, especially in wood-look flooring. 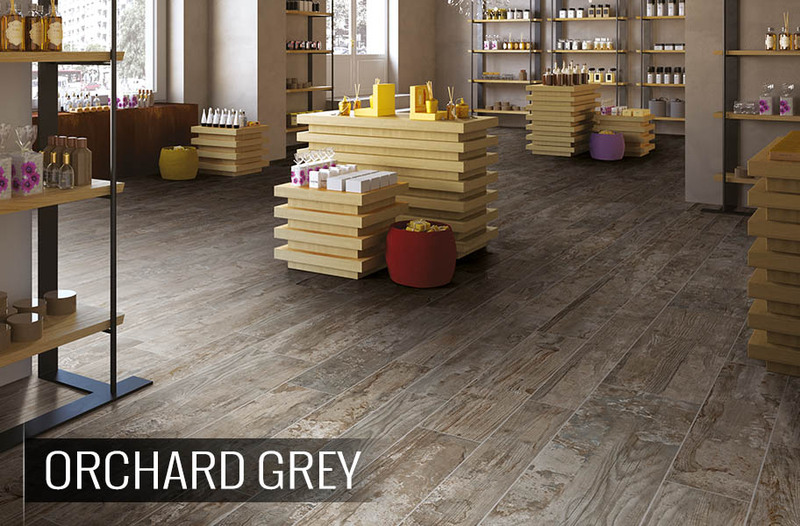 >>Check out gray flooring in Wood, Tile, Vinyl, Laminate and Carpet. People who like extremes are my kind of people. And the amount of these people seems to be growing. It used to be that neutral was the thing. Now, people are looking to be bold, stand out and be seen. That is why they are looking for the darkest, espresso, almost black wood and wood-look flooring. 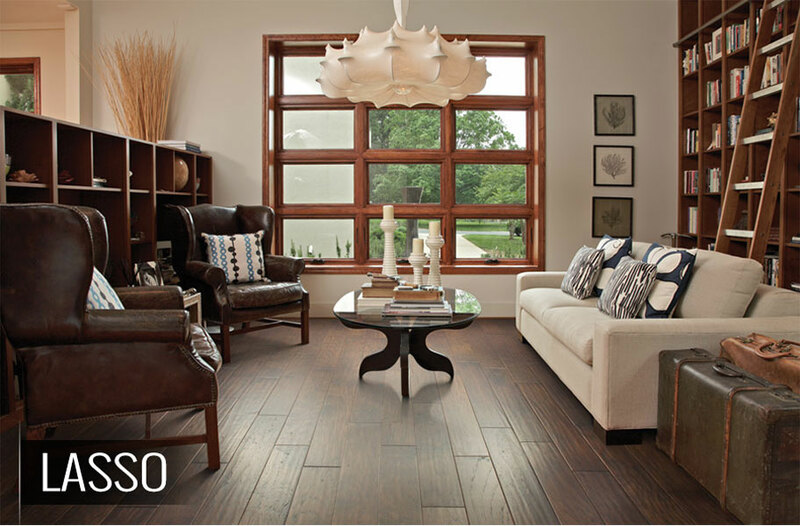 The deep, dark elegance of espresso colored flooring is likely to stick around for several years to come. However, remember that dark floors show dirt more easily, and can make your room look smaller and darker. While this color trend is likely to last a while, I think the next one on our list is really where it’s at for the long haul. >>Check out espresso/black flooring in Wood, Tile, Vinyl, Laminate and Carpet. Extremes, right? Homeowners are straying from the neutral, predictable flooring colors and white is a flashy, new approach. White floors brighten up your space and make the room look bigger. But will they stay in the limelight? 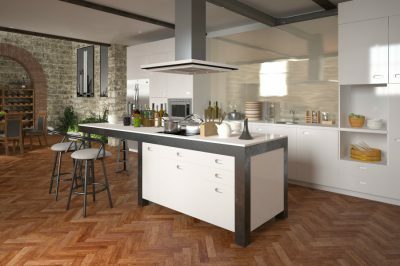 Expect white floors to be a here today, gone tomorrow type of thing (except when it comes to natural stone and tile) as we see homeowners trend towards blonde wood to achieve the lighter and brighter effect. >>Check out white flooring in Wood, Tile, Vinyl, Laminate and Carpet. Listen, if you’re going to go with one of these color trends, it should be gray or blonde. I mean, that’s just my opinion, but these are the two most likely to have the longest shelf life. Why blonde? So many reasons! Light, bright blonde wood (and wood-look) floors make your space look big and bright. Unlike white floors, they are less likely to appear dingy and dirty, so they basically give you the best of both worlds! Additionally, blonde is on the newer end of the trend spectrum so you won’t see too many homes that have gotten the memo just yet. That means, if you jump on board soon, you will look like a total trendsetter once it really takes off. I anticipate we’ll see blonde wood and wood-look flooring for the next few decades and, possibly, beyond. >>Check out white flooring in Wood, Vinyl, and Laminate. Without getting too political here, American Made is a hot and controversial topic right now. The desire for homegrown and American manufactured products extends beyond traditional items to flooring and home decor. In fact, some homeowners will pay top dollar for that title. My brother is one of them. He searched high and low until he found a flooring option that was wholly manufactured in the United States. And he’s not alone. Political trends do not disappear the way style trends do. You can bet that the people who believe strongly in this movement will not be changing their minds anytime soon. 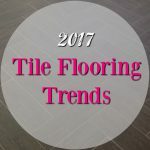 We predict that the demand for American Made (and grown) flooring will only increase with time. 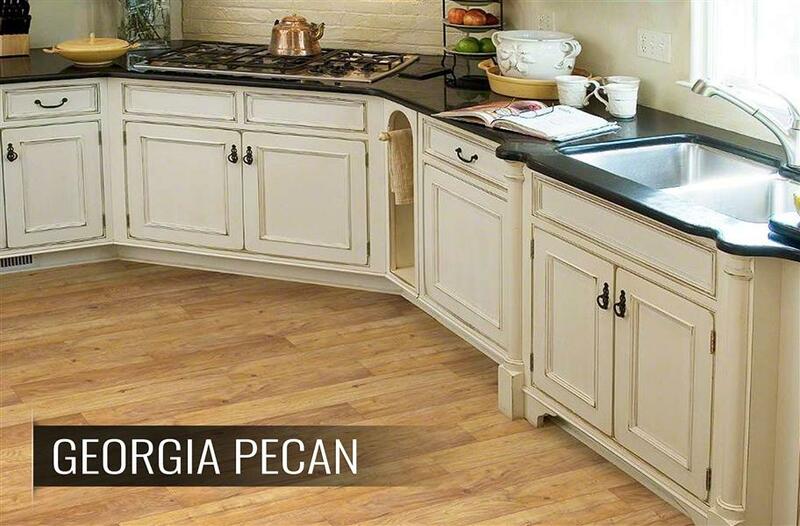 >>Check out USA-made flooring in Wood, Vinyl and Laminate. If you want something hot that will last for the long haul, we recommend going for large plank, blonde or gray wood/wood-look. The alder and deep valley were my new favorites. 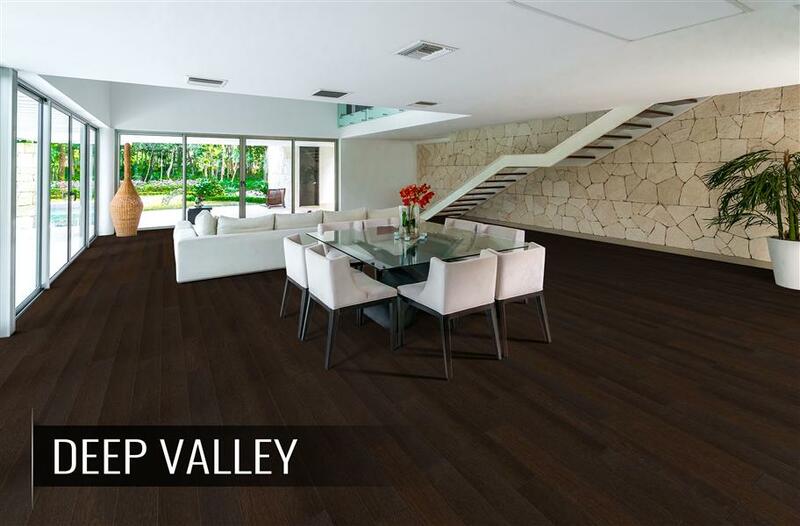 The espresso tone of the deep valley lets you achieve that classy yet modern sleek style trend for homes but downside dirt is much noticeable so I guess alder is the best choice for it is white with streaks of black patterns perfect to achieve the bigger appearance of the place. 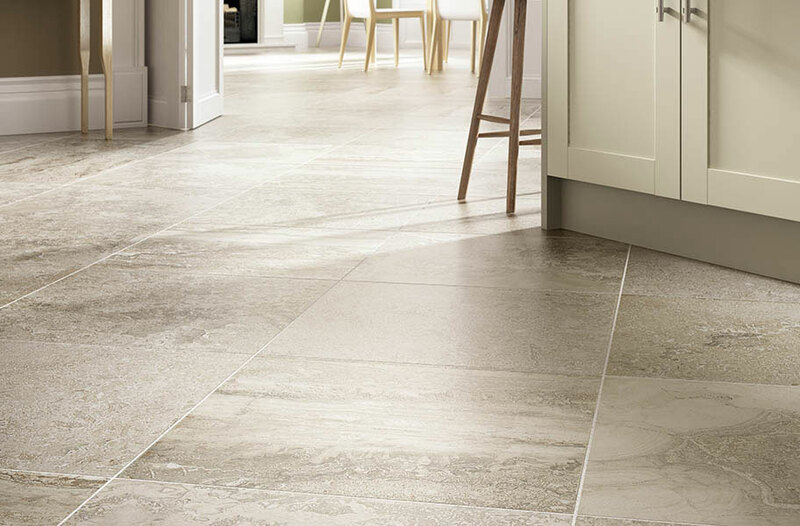 Floor tiles could really make or break your interior so be sure to choose wisely. I have a terra cotta type tile in most of my home which adjoins to a very light colored berber carpet. I would like to replace the berber carpet with wood look porcelain. I’m not sure how the wood texture/style will look adjoining the tile floor. Also, not sure what color to go with. Also, should I stick to the wider plank wood flooring? Great Post! Knowledge sharing. I just love this post. Keep up the great work. Thanks for pointing out that tile carpeting has been popular due to its wide range of design possibilities. 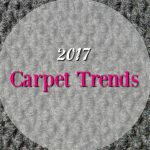 My husband and I want to replace the carpet in the home we just purchased, so I’ve been doing some research online about the current trends. I hadn’t considered using tiles of carpets, so thanks for sharing that idea!